Ellen Pao is making good on her promise to continue fighting against gender discrimination. Pao -- who lost her sexism battle with former employer Kleiner Perkins Caufield & Byers -- penned an article about the state of sexism in the latest Lenny newsletter. 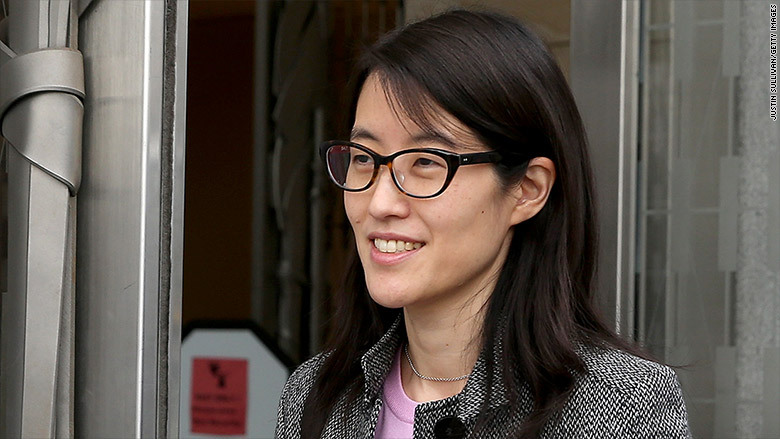 Pao most recently served as interim CEO at Reddit. She said while at Kleiner Perkins, she witnessed a host of "inconsistencies" in talk and action. She says women were characterized as aggressive instead of strong and were passed up for promotions while lesser qualified men were promoted. "I've seen the same issues over the past 17 years," she wrote. "But we have really made some meaningful progress." That's because it is becoming is much harder to get away with bad behavior. "Someone is there with a camera or tweet to post it online, where it will live on forever," she wrote. For evidence of this, look no further than former Twitter employee Leslie Miley's article last week. Just two days after Miley criticized Twitter's (TWTR) gaping blind spots when it comes to diversity, Twitter's senior vice president apologized and vowed to make "faster progress." Pao, who earned a JD and MBA from Harvard, said blaming a "pipeline problem" is too easy. "Actually, it's about how the system treats people before and after they enter tech," said Pao. "When people use dog whistles like 'the pipeline problem,' they are saying: We haven't done anything wrong, and we don't care to fix it." Pao tells women to stay resilient -- and to speak up. "Hold the good stuff tight and close to your heart, and let the negative slide off like you're Teflon." Lenny is a newsletter that actress Lena Dunham and her production partner Jenni Konner launched in July. It addresses everything from feminism to politics to fashion.